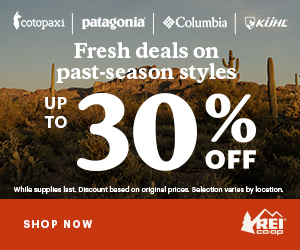 Last week, we highlighted the hardest sections of the Appalachian Trail. Now we’re back to give encouragement in the form of the five easiest rated sections on the AT from our 2016 thru-hiker survey. These sections boast rolling hills, smooth trail, farms, and at least in the 100 Mile Wilderness, amazing views without the soul-crushing effort to get there. While perhaps these sections are less exciting than the toughest parts of the trail, we’re all due for a break now and then, aren’t we? The following sections are (almost) all located in the mid-Atlantic—the lowest and flattest part of the AT. This meant we had some overlap in our results, so we divided the sections as it made sense to profile them. Remember, just because these sections aren’t inherently thrilling, it doesn’t mean they aren’t an absolute blessing. Nothing like a wide, flat section of trail to rejuvenate a beat-up thru-hiker. Note: The Potomac Region (#3) includes Maryland and Southern PA. Since we listed them as separate sections in our poll, we’ve profiled them separately here. All mileages found in AWOL’s 2017 Northbound AT Guide. 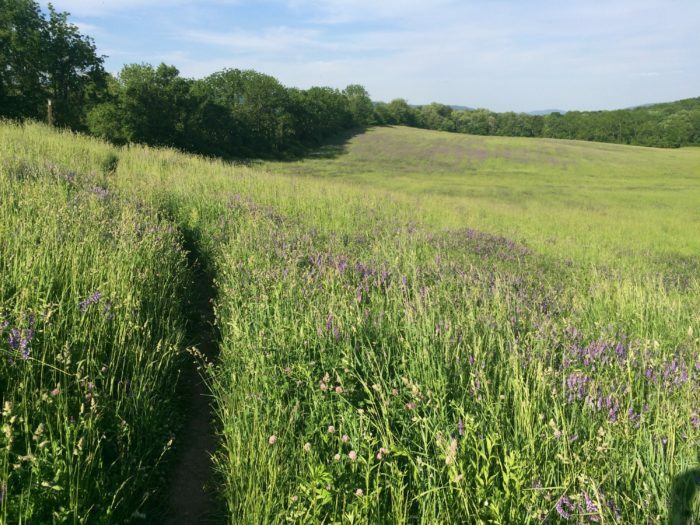 Nicely graded and well maintained trail, frequent road crossings, nominal elevation gain and loss, waysides with food and drinks, consistent views off Skyline Drive. The gently rolling hills are interspersed with the famous “Waysides,” where you can spend your entire month’s food budget on a few burgers and blackberry milkshakes. The AT through Shenandoah has frequent crossings with Skyline Drive, complete with overlooks, benches, and informational signs. This means you can have a seat and look at the view while you stick your thumb out for a ride. The camping areas are well-maintained, as are the trails. The wildlife is abundant, and hikers will probably get a bear sighting or four through here. Good place to see bears; be sure to handle food and trash correctly and always bear bag. Camping outside of designated sites is allowed, but there are regulations to be aware of, including signed off-limits areas. Self-registration sites are located at the north and south entrances, hikers must carry a permit through SNP. There’s not a ton to take pictures of in Maryland, but here are some historical facts you can read as you hike. NOBO: Cross into Maryland from West Virginia at mile 1,024 at the Potomac River, hit the PA border at 1,065 at the Mason Dixon Line. SOBO: Cross into Maryland at mile 1,125, hit the WV border at mile 1,166 at the Potomac River. Densely populated area good for yogi-ing and hitching, state parks with food and vending, flat trail, fun historical plaques to ease the monotony. When you ask AT hikers to list all the states on the trail, Maryland is the one most often forgotten. I know there is a 14th state… umm…. 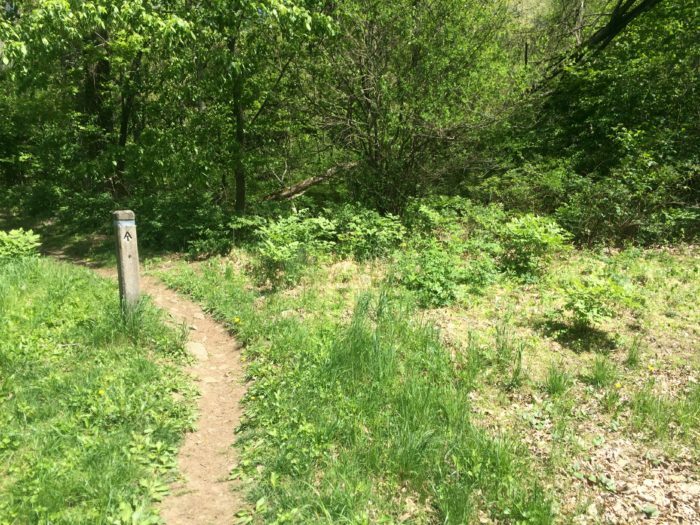 It’s flat, the trails are wide and lovely, and it’s the second shortest state on the trail after West Virginia. 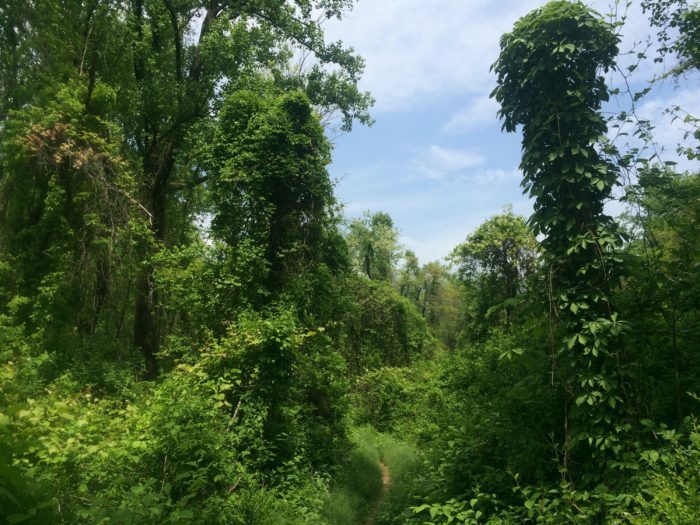 Hikers in Maryland will get to crush big miles while enhancing their knowledge of US history thanks to historical plaques and a side jaunt up the original Washington Monument. Gathland State Park has a pool (open for most of the summer), and Dahlgren Backpacker Campground with potable water and an indoor bathroom. The Washington Monument State Park is at NOBO 1,043 with more fun historical facts. The full Potomac Region runs from the northern border of SNP up to Southern PA, we’ve divided it up for this post. Full length is just over 200 miles. SOBO: Region begins in southern PA around mile 1,125 and ends at Rockfish Gap at mile 1,326. Harper’s Ferry is home to the “emotional halfway point” of the AT. Hikers get to stop at the ATC Headquarters for their iconic photo in front of the building. It should be noted that the Potomac Appalachian Trail Club are a bunch of heroes. The trails in their region are beautifully maintained, and the shelters are the nicest on the trail. Think landscaping, flowers, chairs, and gravel paths to the privy. One shelter site has manicured tent sites plus two shelters: one designated “snoring” and the other “non-snoring.” The PATC also runs the Blackburn AT Center, a must-see right after the Virginia Roller Coaster (heading north). Harper’s Ferry and the ATC Headquarters, Blackburn AT Center, historical sights like the original Washington Monument in Maryland. NOBO: Hit the WV/PA border at mile 1,064, and reach the start of the rocky northern section at mile 1,147 by Duncannon. SOBO: Start the “good section” of PA after Duncannon at mile 1,042, and finish at the PA/MD border at mile 1,125. Farms with horses! Flat trail, rolling meadows, friendly towns in close proximity to one another. Southern Pennsylvania is a lovely, mild week of hiking… if it takes you that long. Hikers will absolutely cruise this section (as they will most sections in this post) thanks to the smooth trail, flat terrain, and cute, friendly towns you walk right into. This is plop in the middle of a NOBO or SOBO hike. For NOBOs, it will prepare them for the rocky nightmare of northern PA, and for SOBOs, it’s a blessing after traversing the boulder field gauntlet. Flip-floppers? You are starting off really nicely. The AT actually crosses over farmland with cows and horses, who might wander over and pay you a visit. Remember to respect all property and the happy animals. The town of Boiling Springs is a gem, and the hitching has never been easier. Say hello to the horses and cows, and remember to respect the farmland the trail crosses through. Peaceful wooded trails, amazing views without arduous climbs, ponds. The 100-Mile Wilderness goes fast, and it’s a popular section hike for intrepid groups and families. 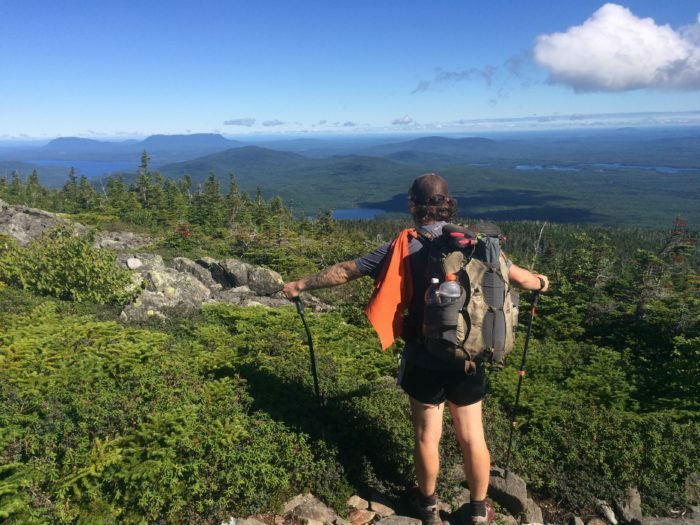 The 100 is like southern Maine’s sweet cousin—miles of serene, wooded trails with a fraction of the roots and rocks of the southern part of the state. Hikers will climb mountains through here, but the ascents are short and the views are stunning. If you’re not passing ponds or cruising over sparkling streams, you’re breaking treeline and glimpsing Mt. Katahdin in the distance. This section is definitely remote, but it’s not as abandoned as you think. You’ll pass several dirt roads and parking areas leading to camps and vacation homes, and you’ll probably see a group of scouts out for a backpacking trip. Be aware that SOBOs might be hitting The 100 at the peak of black fly season… this will bring it down a notch or two. Glimpse Mt. 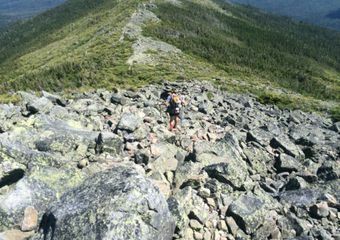 Katahdin at Whitecap Mountain at NOBO 2,117, then again at Nesuntabunt Mountain at mile 2,153, and finally again at the Rainbow Ledges at mile 2,168. I disagree with you concerning the 100 mile wilderness in Maine. I think it is easier than the previous 250 miles (for NOBO’s) but does not relate to your other selections. I do not think the flat areas of VA, MA, and PA hardly compare. The 100 mile Wilderness is definitely a beautiful place to hike. Thank you for you past two articles. Awesome post. I have hiked all these except the 100 Mile. Some several times. Two typos. Rockfish Gap is the southern boundry, not northern. Also. 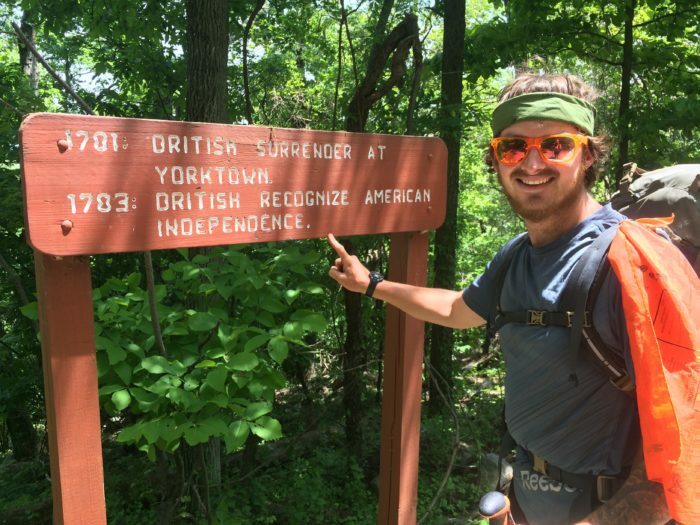 PA doesn’t border WV on the AT. It should be MD/PA.